Route: circular, Daroca - Daroca. MTB tracks in GPX, KMZ and TRK format. To always be on the correct track you can download Mapas de España (Maps of Spain) app (only android version available) from the Spanish National Geographic Institute, from where you can access to all of our routes and navigate on accurate maps as well as to obtain additional features for free. The MTB route guide: contains technical and practical information, a description of the route, maps, gradients, difficulty, bicycle repair shops, stamping points and relevant milestones, etc. Tourist brochure (this can be obtained at any of the tourist information offices on the route).Only available in Spanish. Guides: castles and countryside of the Way of El Cid as he passed through the province of Zaragoza, published by the Provincial Council of Zaragoza.Only available in Spanish. This short yet challenging circular route starts in Daroca. El Cid is known to have camped in this city for several days in 1090, and it was here that he signed a treaty with the Catalonian Count Berenguer Ramón II, shortly after defeating him at El Maestrazgo. The Song of the Cid also refers to Daroca, claiming that the city paid tribute to El Cid, whose men had subjugated the entire area, although there is little historical evidence to this effect. According to the Poem, in order to impose his will, El Cid set up various camps from which he launched his raids. Perhaps the most famous of these is said to have been in Poyo del Cid (Teruel) and the other in Allucant. It is not known exactly where this place is, although a number of scholars posit that it is in fact Gallocanta, a town which was known as Allucant back in the 13th century. This possibility has led to the creation of a delightful circular route of great historical and ecological value, the perfect choice for a weekend excursion. Nature is the principal attraction of this route which, starting from Daroca, makes its way through the picturesque Santa Cruz Mountain Range along well-surfaced country roads as far as the town of Gallocanta. 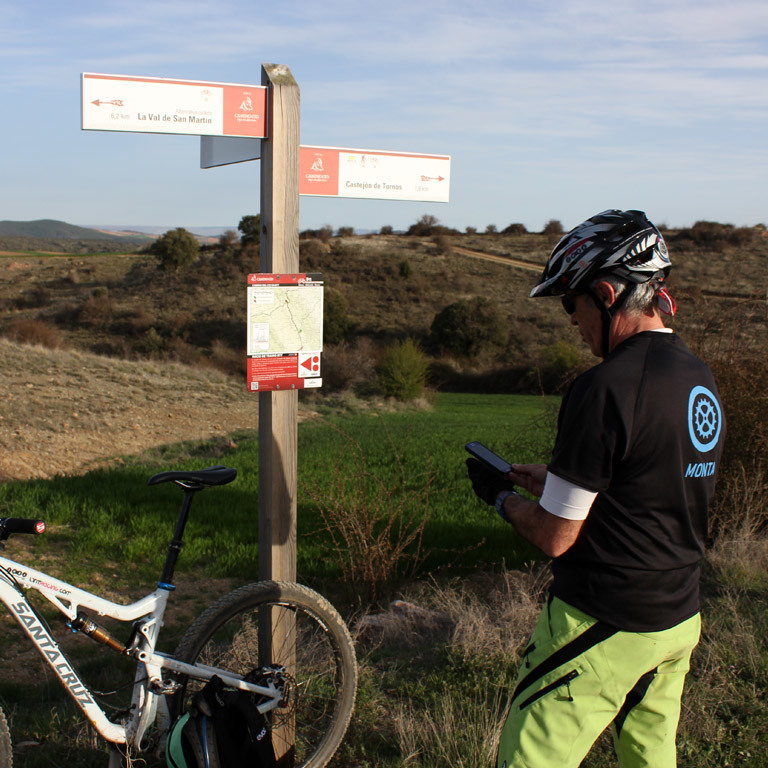 The BTT cycle route follows the hiking trail as far as Castejón de Tornos before continuing along an BTT cycling detour and rejoining the trail just before Val de San Martín. Gallocanta Lagoon is actually a magnificent series of lagoons whose shores are dotted with small villages. It is one of Western Europe’s largest saltwater lagoons and boasts a wealth of flora and fauna. Each winter this ecosystem is visited by thousands of cranes and other migratory birds who stop here on their long flight from northern Europe to Africa. 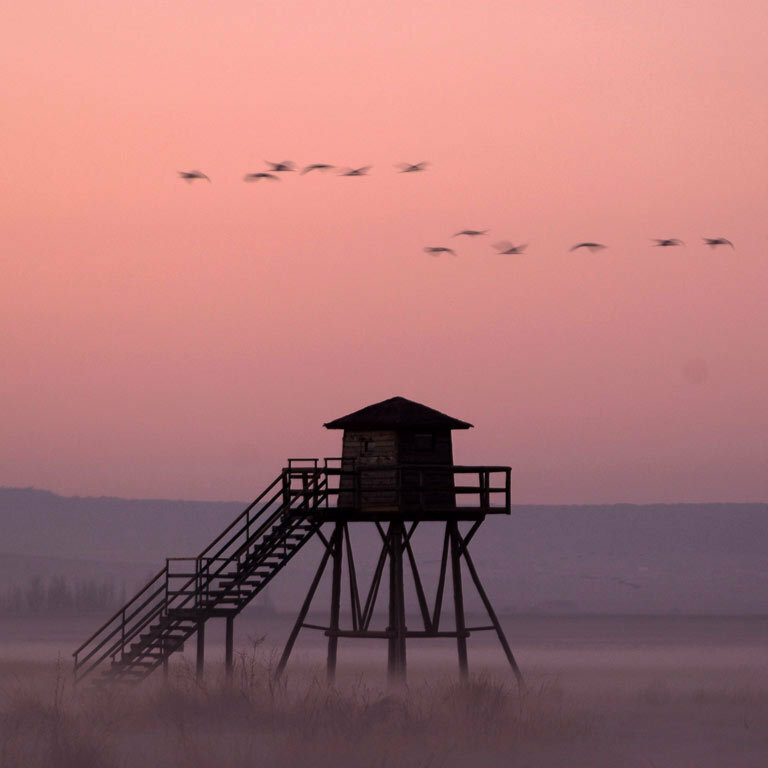 Together with the large numbers of other water birds, steppe birds and birds of prey (more than two hundred species) that live here, they form a truly spectacular sight, turning Gallocanta into one of Europe’s ornithological paradises. This history of this area is also intriguing: the first documented settlement dates back some 4,000 years. 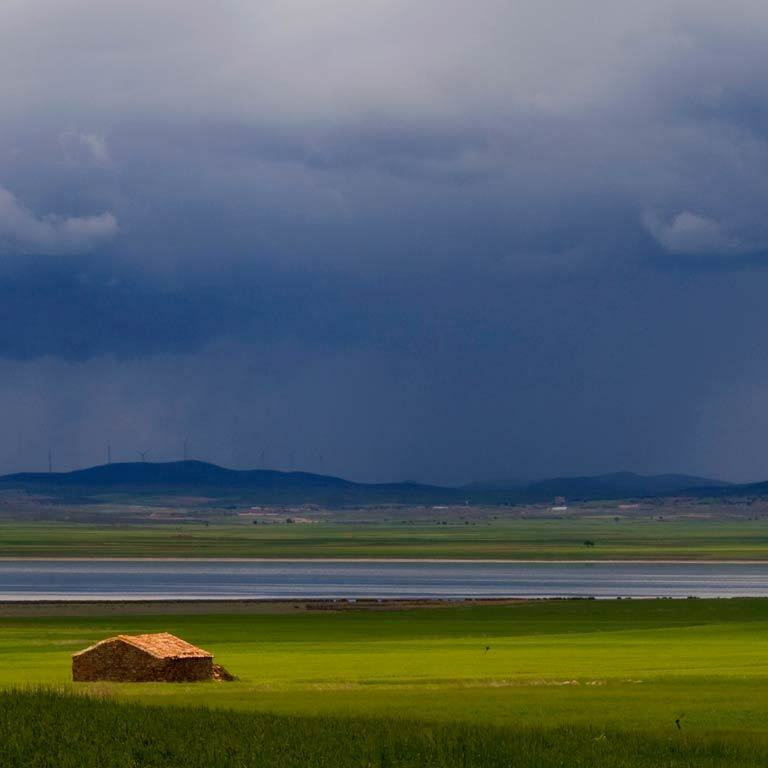 This is a fertile land and the salinity of the lagoon is greater than that of the sea. As a result, since ancient times it has been a site of salterns and iron mining. The mines required large amounts of wood, which led to the deforestation of the territory and the emergence of arable and pasture lands. 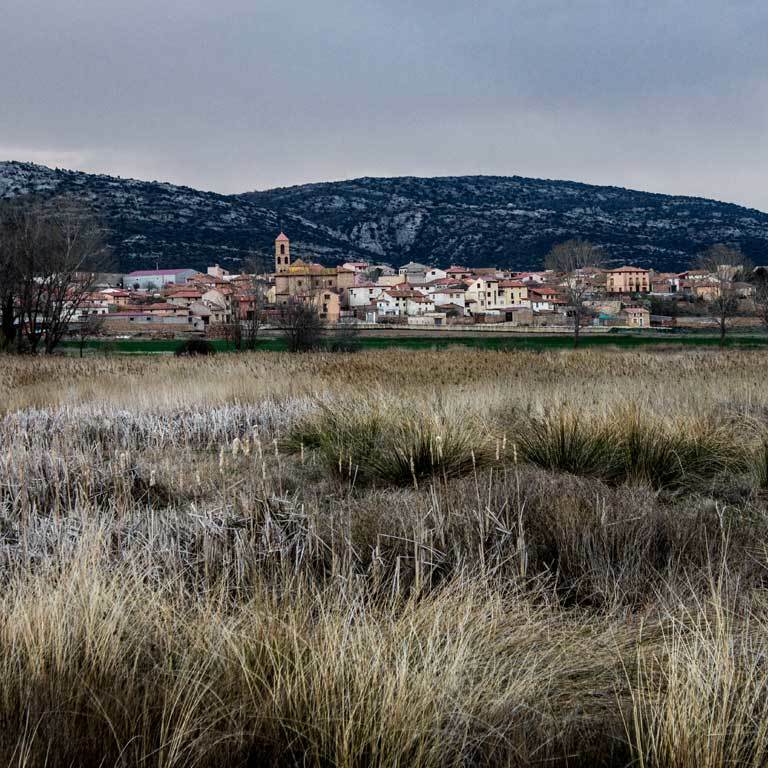 This rich and fertile land is sheltered by mountain ranges with two major natural passes leading to the Valley of Jiloca and Molina de Aragón. Since ancient times, the settlements have been fiercely defended, which explains the large number of castles to be seen in this area, including Santed, Berrueco, Tornos, etc. Most date back to the Middle Ages, although they stand on the site of earlier fortifications. The area is also home to a number of interesting Celtiberian archaeological sites, such as El Castellar, not far from Berrueco: visitors are welcome, and although it is located 1 km off the route, it is well worth making the detour. The final stage brings us back to Daroca. This monumental town was founded by the Yemeni Moors in the 8th century. Once inside its imposing walls, visitors will feel as if they have travelled back in time. Daroca boasts a rich and varied artistic heritage that reflects its long history. The best way of discovering its secrets is to wander around the streets, losing yourself among the alleys, courtyards and picturesque spots. The town’s Moorish past is also in evidence in its gastronomy, and especially its sweets and pastries, with delicacies such as the trenzas mudéjares – almond and walnut pastries or almojábanas – delicious aniseed ring-shaped pastries. 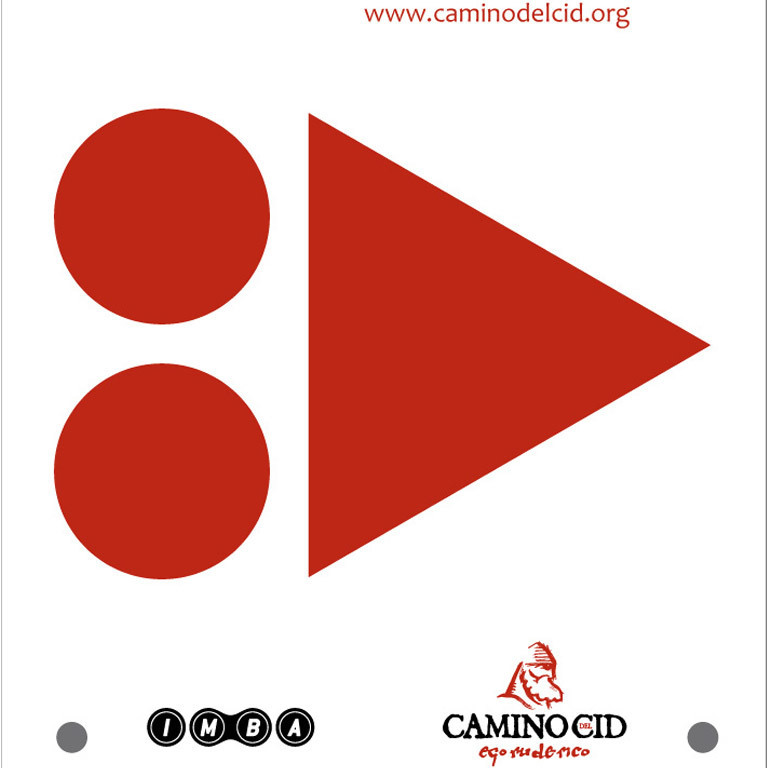 The route is signposted for hikers with red and white lines (Gran Recorrido GR long distance track), and white and yellow lines (Pequeño Recorrido PR short distance track). The cycle route features MTB cycling signs and information panels. Both the maps and route guides indicate the type of signs to be found. There are also information panels at the start and end of each stage as well as posts with arrows and markers. For more info about signposting please click here. This is a two day cycle tourism circular route that is not particularly challenging, although there are a number of steep slopes. In winter certain paths can become muddy and care is also needed on certain downhill stretches as farm vehicle wheels may leave deep ruts that can cause cyclists to lose their balance. When in Gallocanta or any of the neighbouring towns offering accommodation, and regardless of the time of the year, we strongly recommend a gentle stroll around the lagoon at daybreak. Travel safely and unhurriedly: take the tracks and route guide with you. 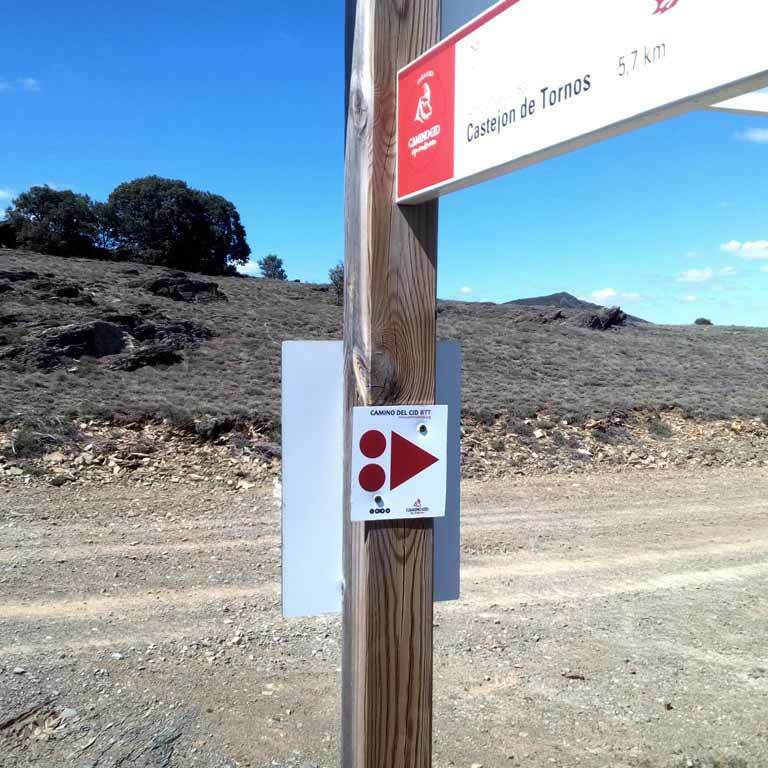 The route is signposted and we do maintenance on the signs every year; however, signs can also disappear (by accident, the weather, vandalism) and, in that case, especially when you are in the mountains, the track and route guide become very important. The route guide also indicates the levels of difficulty of each section and it is a good idea to check it out before starting each stage. The main problem as far as getting lost is concerned comes in the villages: although we have placed signposts in many of them, we have not covered all of them and, even in those with signposts, you might not see the marks and not find the exit easily. It is best to take the tracks and route guide with you, since they contain the indications you need to follow the route. Food and spares. Remember to take water with you. In most of the villages, there are drinking fountains: remember to refill your water bottles before setting off again. The same applies for spare parts: remember to take a repair kit with you and the more complete it is, the greater your peace of mind will be. Book your accommodation in advance, especially in winter, during the high season for cranes. Check our cartographic viewer: the Alerts on Route shows you the most important incidents you can find on the way: tall vegetation, interrupted steps, road works, fallen or missing signs and any other obstacle from which you need to be warned about. Don't forget your helmet: it is compulsory for adults to wear helmets on roads outside cities and for under 16s it is compulsory at all times. And, of course, respect the signs you come across: damaging, knocking down or changing a sign means that those behind you might get lost. 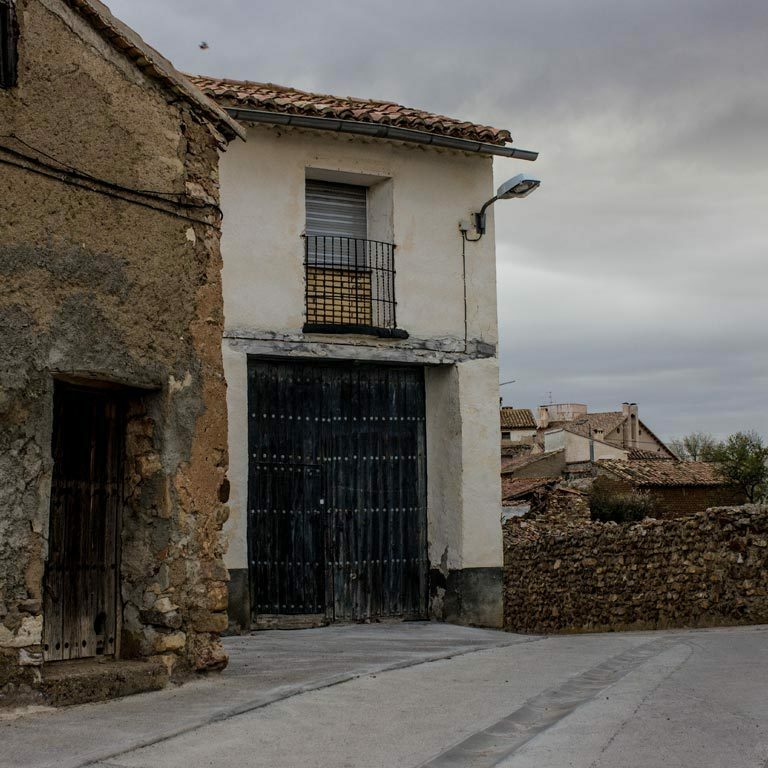 For more information about how to get to Daroca, click on the information about the municipality.